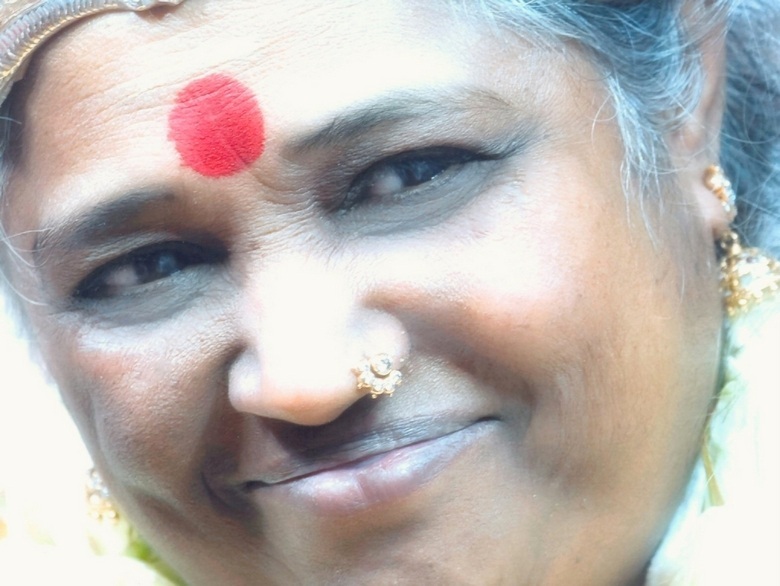 The ‘Hugging Saint’ Amma offers spiritual upliftment to people of all faiths in Dallas, TX, on June 27th and 28th, 2010. Spiritual seekers are invited to attend any of the four programs over two days to experience her love and compassion in person. Dallas, TX (PRWEB) June 18, 2010 — The ‘Hugging Saint’ Amma (http://www.amma.org) will hold free programs in Dallas on June 27th and 28th as part of her 2010 North American Tour. People of all faiths are invited to attend any or all of the four programs. Two programs will be held each day to make it easy for all who are interested in receiving her blessing. 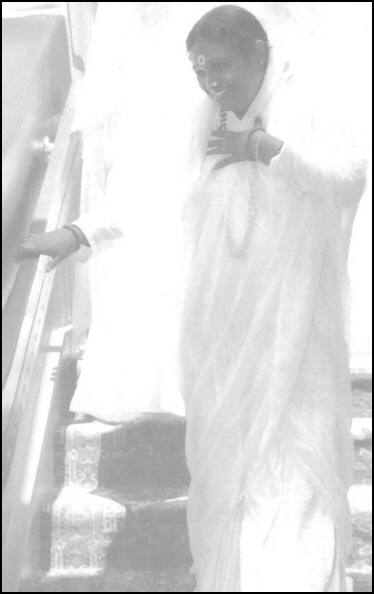 Amma was born in India and she is known throughout the world for her humanitarian works and spiritual leadership. “Amma presents the kind of leadership we need for our planet to survive. This is the most heroic person I’ve probably ever met. Because she is sitting there hugging people… The most heroic thing is caring, and she does that,” said American author Alice Walker, winner of the Pulitzer Prize for Fiction for The Color Purple. 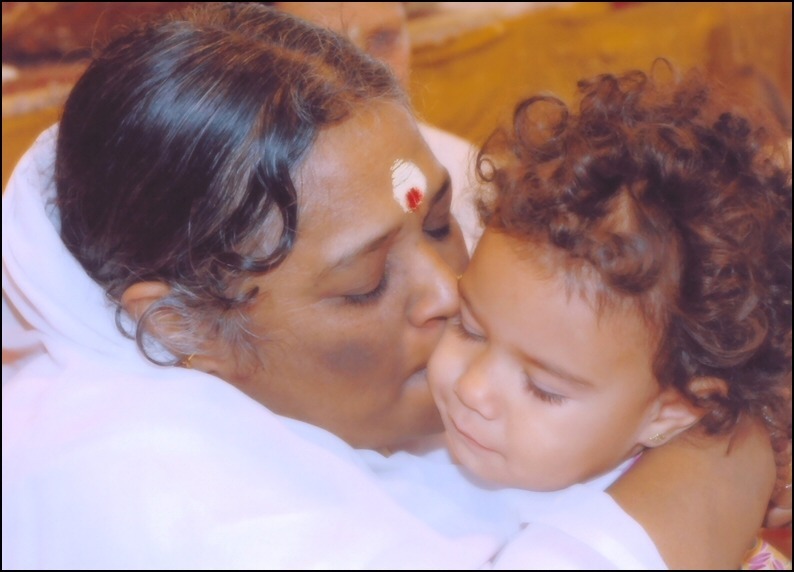 When Amma embraces people, it is not just physical contact that is taking place. The love Amma feels for all of creation flows toward each person who comes to her. 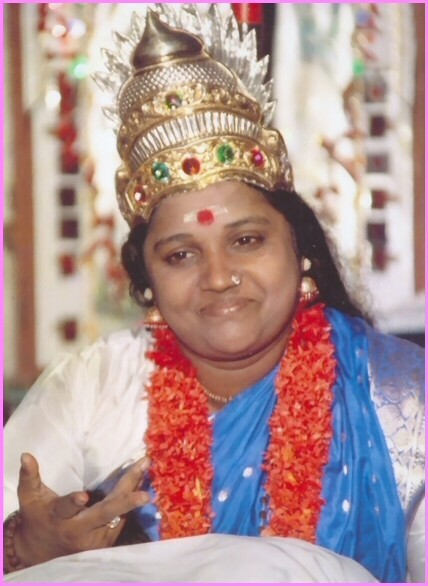 Word of her selfless actions spread beyond her local community, and in 1987, Western devotees invited her on what would become the first of her many world tours. She now visits cities in North America, Africa, Europe, Australia and Asia on a regular basis offering herself for hours at a time to anyone who wishes to experience the healing power of unconditional love. Today the Ammaritpuri Ashram located in Amma’s birthplace of Kerala, India, is the headquarters of her worldwide social service organization, Embracing the World (ETW). With the help of donations and thousands of volunteers, ETW has built more than 40,000 houses for the homeless in India; awarded more than 30,000 scholarships to impoverished children; built orphanages in India, Africa and Haiti; and provided medical care, food and supplies to victims of tsunamis, floods, hurricanes and earthquakes throughout the world, including American victims of Hurricane Katrina. Bagala or Bagalamukhi is the eighth Mahavidya in the famous series of the 10 Mahavidyas. She is identified with the second night of courage and is the Power or Shakti of triumph and victory. Bagalamukhi is described as the Devi with three eyes, of golden complexion, wearing yellow clothes and self-effulgent gems, wearing the Moon as her diadem, wearing champaka blossoms, with one hand holding the tongue of an enemy and with the left hand spiking him. Visualizing her thus, one should meditate on the Paralyzer of the Three Worlds, Srimati Bagalamukhi Devi. Bagalamukhi can be considered as a terrible or Bhairavi form of Matrika Devi, the mother of all speech. According to Todala Tantra, her male consort is Maharudra, whose one face dissolves the Universe. Bhagavati Bagalamukhi is the great samstambhini (immobilizing or arresting) vidya who keeps the three worlds and the planetary systems locked in their orbits. In the first stage of cosmic cycle (krita yuga), a great disaster arose in the form of vata-kshobha that threatened to destroy the creation. Lord Shriman Narayana, the protector, invoked the Supreme deity Maha Tripurasundari through a specific prayoga named Gheranda-Yoga. Due to this prayoga, Shri Vidya Parameshvari manifested as the great vidya named Bagalamukhi, combining in her the tejas of both Para Shakti and Maha Vishnu (Shakta and Vaishnava). This is the reason for frequent reference to Bagala as Shri Vidya in some tantras and in the Sahasranama of the Goddess as she is the Saishnava manifestation of Shri Vidya, invoked for the specific purpose of stambhana. There are innumerable worldly uses of this Mahavidya but the greatest benefit the upasaka attains through this Mahavidya is freedom from avidya. 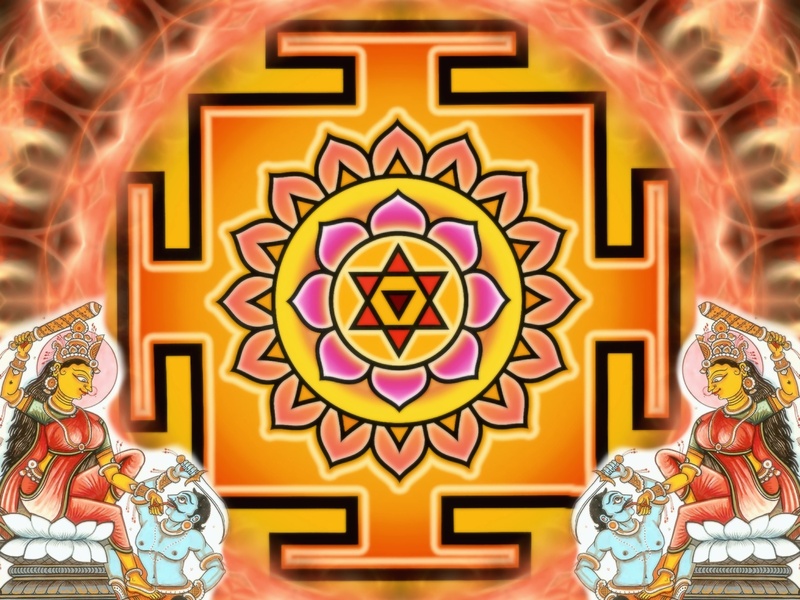 In the current age of Kali Yuga when most mantras fail to grant fruits, this Mahavidya continues to grant boons to the sincere upasaka and hence is referred to as siddha-vidya by the Tantras. This Mahavidya is of special significance in the case of rajya bhiyoga. For the mumukshus, this great vidya is of equal importance due to her unparalleled capacity in arresting, sublimating and dissolving vices such as kama and krodha. In her first hand, Bagalamukhi sports a gada which represents the manifested speech. She sports vajra in her other hand which represents the great destructive or assaultive power of speech. Pasha, which she sports in her third hand represents qualities such as madhurya etc. exhibited by the Devi through which she entices the upasaka towards herself, gradually leading him beyond those to stillness. In her last hand, she grabs the tongue of the demon which represents durvakya or bad words. By grabbing the tongue, Bagala grants her upasaka samyama over the faculty of speech, which is the first and foremost step to conquering other sensory faculties. Today our attention is mainly on external things; so we hardly ever look inward. Even when we have a spiritual goal, the mind slips away from it due to the pressure of our vasanas or latent tendencies. To control such a mind, a satguru is essential. But after a certain stage, no help is needed for the guru within is awakened. Ordinary gurus can only explain spiritual principles. But a Sadhguru who has realised the Self imparts part of her spiritual power to the disciple. This enables the disciple to reach the goal quickly. The Sadhguru’s thoughts awaken spiritual powers in the disciple. Satsang and spiritual books have the power to turn our minds towards good thoughts. That alone, however, will not enable us to go forward with steady steps. Physicians will examine the patient and prescribe medicines. But if an operation is required, one has to see a surgeon. Likewise, to rid our minds of all dirt, and to progress towards the ultimate goal, we have to take refuge in a realised master. Although everything is within us, it is useless if we don’t actually experience it. For that, sadhna or spiritual practice is absolutely necessary. Rishis who gave us the mahavakyas or great sayings such as `I am Brahmn’ and `Thou art That’ were individuals who had reached that plane of experience. Their way of life was very different from ours. They viewed all living creatures as being equal; they loved and served all beings without distinction. In their eyes, nothing in the universe was separate from themselves. While they had god-like qualities, we have the qualities of a fly. A fly lives in dirt and excreta. So, our minds can see only mistakes and defects in others. This has to change. We have to be able to see the good in everybody and everything. Until we directly experience the Truth through sadhana and contemplation, there is no sense in repeatedly claiming that everything is there within us. Learning from books and giving speeches is not enough. To experience the Truth, one has to do sadhana, and discover the real `I’ with a guru’s help. The guru knows that the disciple’s ego-driven impulses will cause danger to him and to others. To know the Truth, we have to get rid of the ego-based, false `i’. It is hard to achieve this just by doing sadhana on one’s own. When we bow down before the guru, we are not bowing to that individual, but to the ideal in her; just as by saluting the flag, we are not paying homage to a piece of cloth, but to the nation that the flag represents. We can rise only through humility. The seed contains the tree within it, but if it is content to lie in a storeroom somewhere, rats may eat it. Only by going under the soil will its true form emerge. It is to become the King of kings later on that the disciple takes on the role of a servant now. The guru is the embodiment of selflessness. We are able to learn what truth, dharma or righteousness, renunciation, and love mean because the guru lives those qualities. Obedience to the guru is not slavery. The guru’s aim is only the salvation of the disciple. A true guru will never see her disciples as her servants. She is filled with love for the disciple. She wants to see the disciple succeed, even if it means hardship for herself. The true guru is indeed like a mother.